Our Mission is to bring forth truth and awareness to humanity for the golden age of Gaia! If you make ascension your choice you will go through a process that is designed to move you back into full consciousness. Here are the major points of the journey back to full consciousness. 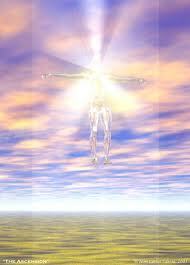 As we ascend to a higher vibration we are opening ourselves in awareness and energy. Within this opening the lower energies that have been circulation in our systems are recognized and brought up for clearing. There is a reoccurring process that one goes through over and over until you have reached a karmic release of 51% of the lower vibratory energy that was trapped in your system. When you reach this point you will be showered with grand adoration from the higher dimensions. The Creator will give you dispensation for your remaining karma. You will be downloaded with the information you need to make your final approach into full consciousness. Once you embark on your final run the final vestiges of any left over imbalanced will be cleared from your system. As you approach your destination you will be fine tuning and balancing your energy centers. Within this final tuning is purification of the heart. At this point you will see the Master, and the Master is you! Your will then embark in full consciousness on the next leg of your infinite journey! In love with the one infinite Creator! Copyright 2013 mylightwarrior. Picture Window theme. Powered by Blogger.